You have to use Compressor to perform many operations. The uses of such utilities are depended upon many factors as like production cost, availability, easiness to handle etc. The power available from compressed air from the compressor can be used profitably in most engineering and industrial fields as a substitute for steam and also electricity. Compressed air saves time, cut costs & eases physical burdens. So, some typical uses of compressed air are described below. Agitation process in liquids can be carried with much ease with the help of compressed air in acid & allied industries. Hence this plays an important part in soda manufacture, in the hydrogenation of coal, in a manufacture of synthetic ammonia & polymerization of ethylene. Compressed air is used in the processing of food, farm maintenance by spraying of insecticides, inflating tires of tractors & trucks. To dig a hole in the land for the foundation of bridges, building, dam structural work, sewage and tunnel & practically all other types of construction is helped by the compressed air to do the job better and faster. Air Operated drills, wrenches & riveting hammers are used for completing various tasks in the aircraft industry. So, to operate these tools compressed air is used. The safety of compressed air, as well as its versatility, makes it a desirable form of power for many operations in ammunition depots. Air operated ammunition hoists are spark free and quick acting. In mining where an electric motor or combustion engines cannot be used because of the risk of fire due to the presence of inflammable fumes & gases. Compressed air power is paramount utility in running mining equipment. Compressed air is mostly useful for blowing of pet bottles, to operate pneumatic cylinders, for proper mixing of formulation in the pharmaceutical industry. 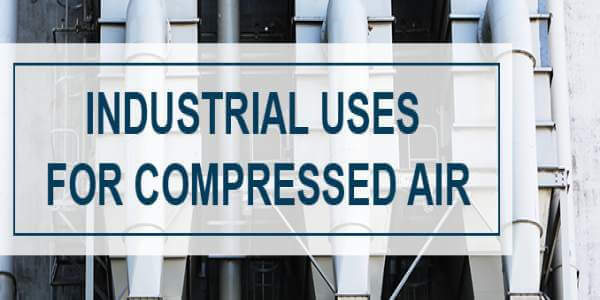 Compressed air is used for starting of internal combustion engines, for spray painting, glass blowing, medical engineering, refrigeration, nitrogen plant, oxygen plant etc. Compressed air is a most useful commodity because it can be store & use whenever we required. Production cost is less compared to others, a neat & clean form of energy. In every industry compressed air is a common utility. Hydraulic Crane: How Hydraulic Crane work?